Heaven To Earth invites you to join Bernhard Guenther in an intimate setting for an incredible 7-day comprehensive cruise exploring natural beauty of stunning Adriatic, the “Jewel of the Mediterranean”. Our seven days guided tour through sparkling Adriatic Sea is uniquely designed to facilitate an extraordinary body-mind-spirit transformational and educational experience. Exclusive private retreat – ONLY 30 tickets available. This is your chance to spend one on one time with Bernhard Guenther. 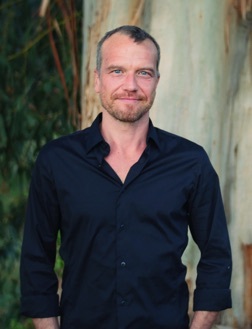 Growing up in Munich, Germany, Bernhard moved to California in 1994 to study drums and percussion at the ‘Percussion Institute of Technology’ (PIT), Los Angeles. His exploration into rhythm and music became a journey of self-discovery and healing which lead him to bodywork and the Healing Arts. happiness in all aspects of life. 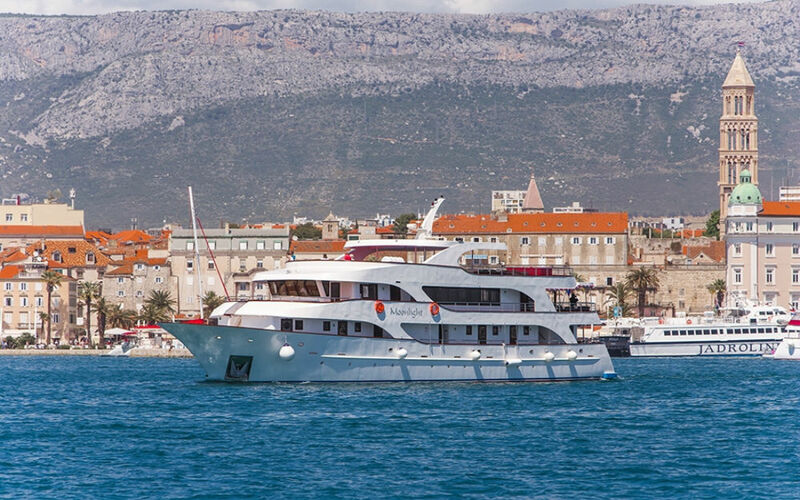 Enjoy an intimate setting with Bernhard Guenther for an incredible 7-day cruise exploring natural beauty of Adriatic, group Yoga, meditation, fascinating lectures, Esalen Massage and Deep Bodywork alongside scheduled guided tours. Learn more about Benhard Guenther. </p> <h4>Day Two: Makarska – Mljet</h4> <p>After breakfast departure for the Makarska Croatia. It is is one of the most beautiful cities in Central Dalmatia situated only 65 km from Split and 155 km to Dubrovnik. Makarska is the center of Makarska Riviera, one of the most popular tourist destinations in Croatia. </p> <h4>Day Three: National Park Mljet – Dubrovnik</h4> <p>After breakfast we sail next to Pelješac is the green Mljet, stretching over 100 square kilometers. Thanks to its thick pine forests, karstic caves and two picturesque lakes connected with the sea, gravelly and sandy beaches and a fishing area abundant with fish and lobster, the west part of the island has a national park status. According to many this is the most beautiful and most wooded island of the Adriatic, is one of the most interesting cultural-historical pearls of the Mediterranean. </p> <h4>Day Four: Dubrovnik – Trstenik/Sipan</h4> <p>After breakfast departure for Dubrovnik. It has, without a doubt, a special place in Croatia’s cultural heritage. A town of monuments or museums under UNESCO patronage. Starting from the 1940 m long walls with bulwarks, the Stradun -Orlando’s pillar, the gothic renaissance palace of Sponza and the celebrated Rector’s Palace as well as the famous church and monastery,. </p> <h4>Day Five: Korcula – Hvar</h4> <p>After breakfast we leave to visit the birthplace of Marco Polo. It was built on the foundations of a Greek colony, and is the historical and tourist centre of the largest island in the Dubrovnik region. It is famous for its streets that are shaped in the form of a fish bone and well-preserved Gothic and Renaissance buildings. </p> <h4>Day Six: Hvar – Bol – Split</h4> <p>After breakfast we sail towards The Zlatni Rat. The beach spreads to the west of Bol and is one of the biggest and most beautiful natural beaches on the Adriatic. Like a tongue stretching almost half a kilometre into the sea, it grows with the drifting deposits of tiny pebbles, changing its shape depending on the wind and the direction of the waves. Bol is a paradise for surfers because of the favorable wind, which always blows. </p> <h4>Day Seven: Bol – Island Brac</h4> <p>After breakfast on board we depart for island Brač, one of the most interesting islands in the Adriatic and a wonderful source of ancient wonders. We will have guided tour to the Dragon’s Cave, inexplicable shrine with beautifully stone – carved monument. Captains dinner on board. After dinner we sail back to Split and overnight at Split. </p> <h4>Day Eight: Split</h4> <p>Breakfast on board. Disembarkation at 9:00 AM City Port Split. The Moonlight will be your home for the duration of this cruise. Cabins come with one double bed, two twin beds or triple beds with air-conditioning, plasma TV, free wireless internet, working tables, mirror, safety deposit box, night lamps, wooden wall boards, chair, electricity supply, safety and fire alarm installations, sanitary facilities, mini bar, toilet and shower. Subject to change according to location, weather and group desires. The nearest airport is ‘Split’ (SPU) and we advise our guests to arrive via plane at least 24 hours before the ship leaves it’s starting port of Trogir. It’s much easier to jump in a taxi in order to get around whilst on holiday in Croatia. Trogir is just a short taxi ride away from Split airport. If you’ve arrived for your tour early and are looking for somewhere to stay we can give you $40 credit towards your booking!